London has one of the most stunning skylines in the world. What better way to drink it all in than with a drink in hand? 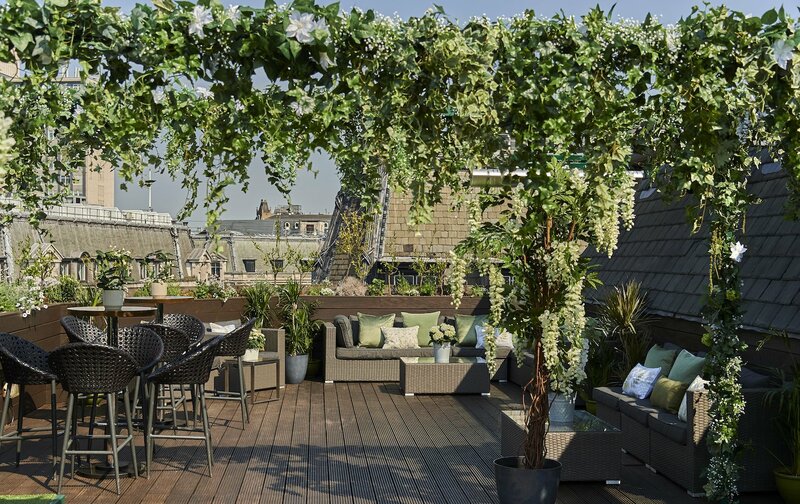 Surprisingly ready for summer, London is filled with rooftop bars. 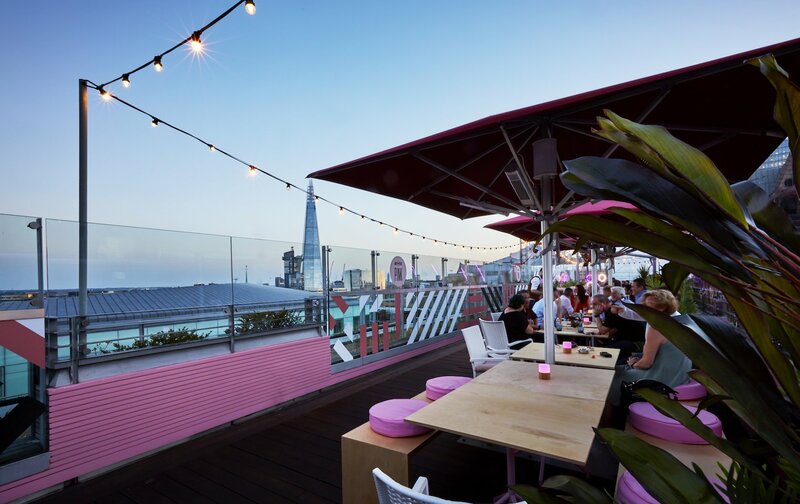 Selected for their views, their booze and the crews they attract, these are our picks for the very best rooftop bars in London. Cheers! 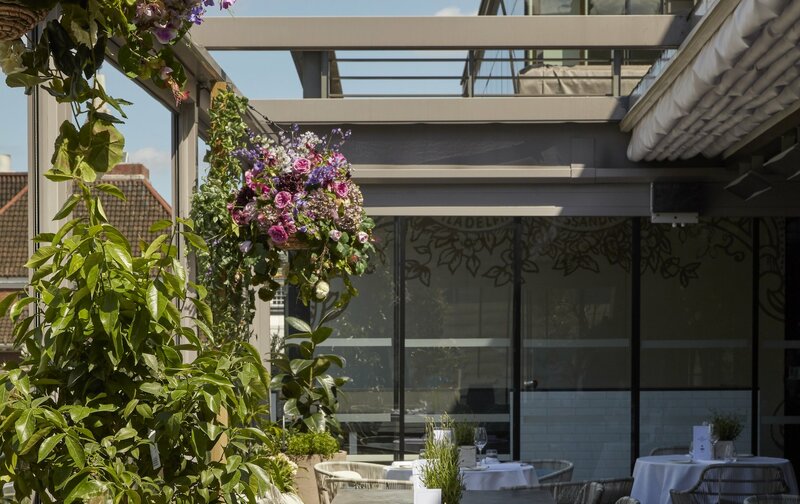 Set five floors above the hustle and bustle of Regent Street, contemporary Japanese restaurant Aqua Kyoto has transformed its massive rooftop terrace into a beautiful Japanese-meets-English bar. 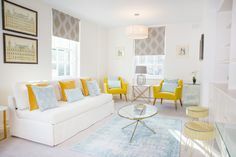 With hanging greenery and florals on display, this is the ideal spot to soak in the summer weather. Try the cooling Summer Garden cocktail, which is a refreshing mix of Tanqueray, Cinzano Bianco, herbal Suze liqueur and grapefruit juice. Or if you visit Aqua Kyoto in time for sunset then the tropical Waiting for the Sunset (bright with the flavors of coconut and lemon) is your drink. Sister restaurant to Aqua Kyoto (and occupying a different side of the same rooftop) you’ll find the vibrant, Spanish hotspot, Aqua Nueva. Their summer terrace bar, in collaboration with iconic Champagne brand Veuve Clicquot, bursts with bright colors by way of decorative flags and flowers. There are also some amazing vistas of the London Eye. (It’s a great selfie spot.) 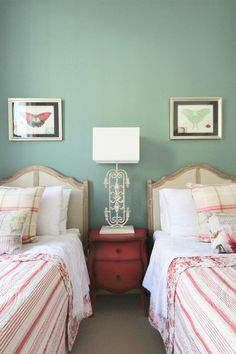 Cocktails are as bright and invigorating as the décor. 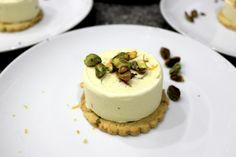 Many of them are even served with edible flowers. 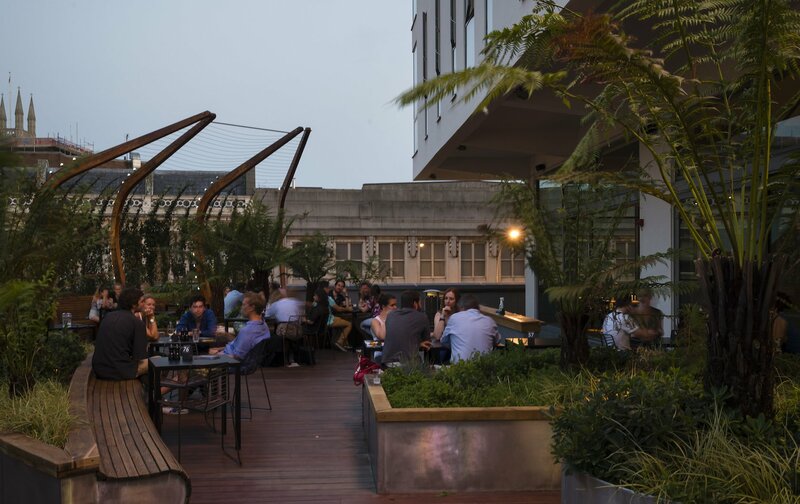 Set in the hipster haven of Shoreditch, Golden Bee is hidden rooftop bar that draws a lively crowd—especially during happy hour (Tuesday through Thursday from 5 p.m. to 7 p.m.). 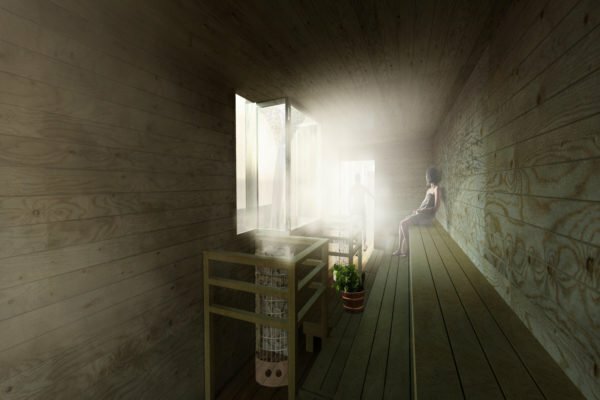 The space is roomy and features a fire pit and atmospheric lighting. On weekends, there’s a DJ. 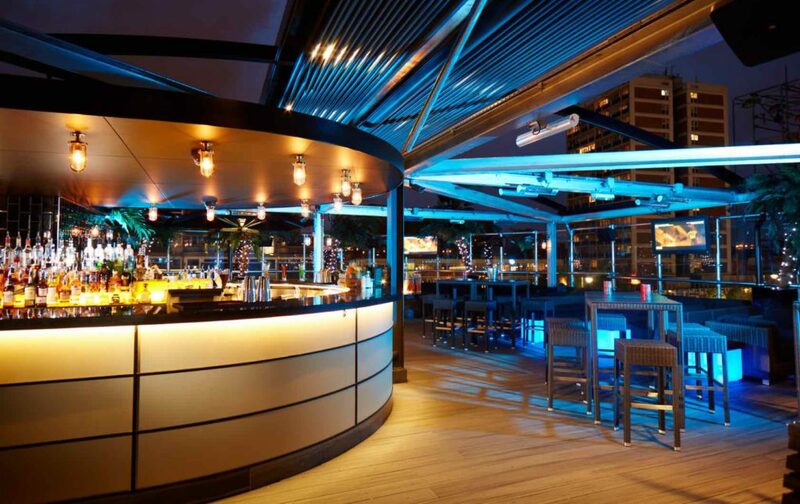 For those who want to party, this is definitely one of the best rooftop bars in London. 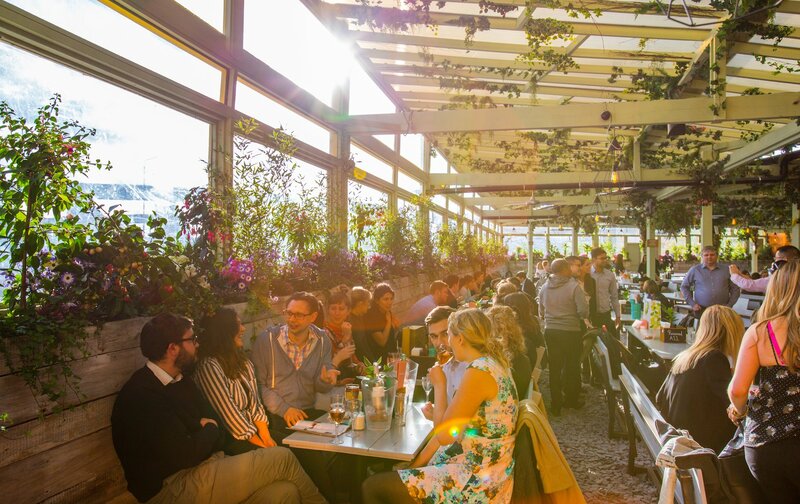 The Lyric Bar & Grill is the rooftop deck and garden of the Lyric theatre, one of the most creative spots in West London. (Check out their schedule of arty shows, classes and events here.) Overlooking Lyric Square, it’s a buzzy spot for a pre-show drink. There’s also a full food menu serving up staples like salads and burgers. 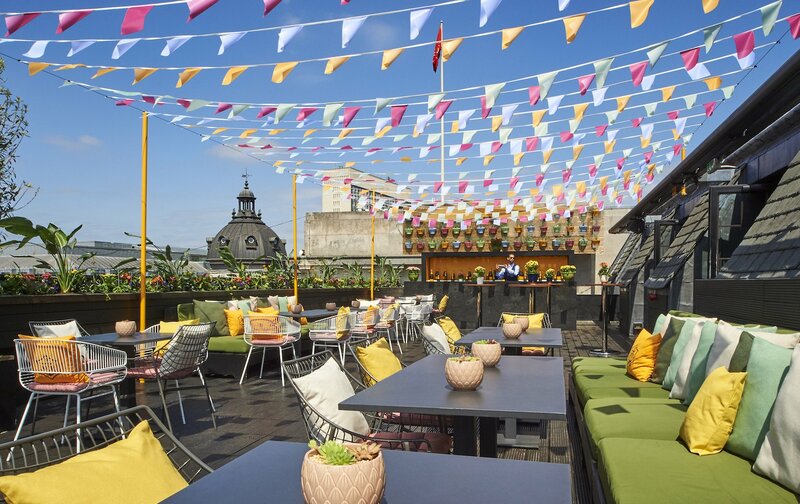 Hammersmith is one of the neighborhoods where real Londoners live, work, and play—not a lot of tourists know about this rooftop spot. So, if you’re staying nearby, like in The Attlee, it’s certainly worth a visit. The Angler is a Michelin-starred seafood restaurant right in the heart of The City, near Liverpool Station. Though the food’s ace, in the summertime, the star is the terrace. Angler’s terrace is reimagined as a sunny bar in collaboration with the artisanal spirits brand, the Cotswolds Distillery. 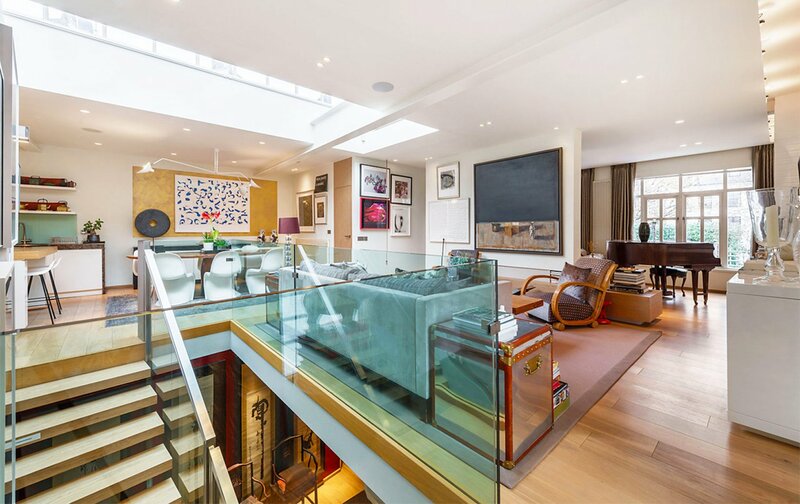 In case you can’t make it to the Cotswolds on one of our London Perfect tours, this hidden-gem terrace brings the countryside charm to you. There’s also a retractable roof and heaters, should the sun not cooperate. 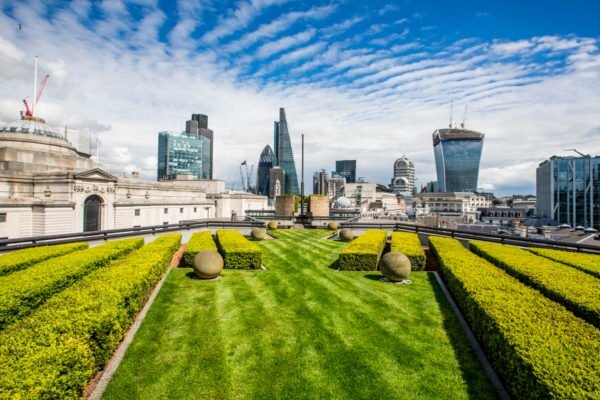 With 360-degree views that show off some of London’s most famous landmarks like The Shard, Tower of London, The Gherkin and St. Paul’s Cathedral, Savage Garden is one of the newest and best rooftop bars in London. There’s an innovative cocktail menu featuring fun soon-to-be favorites like the usual Lespresso, a clear coffee-flavored tipple, and an interesting modern food menu. 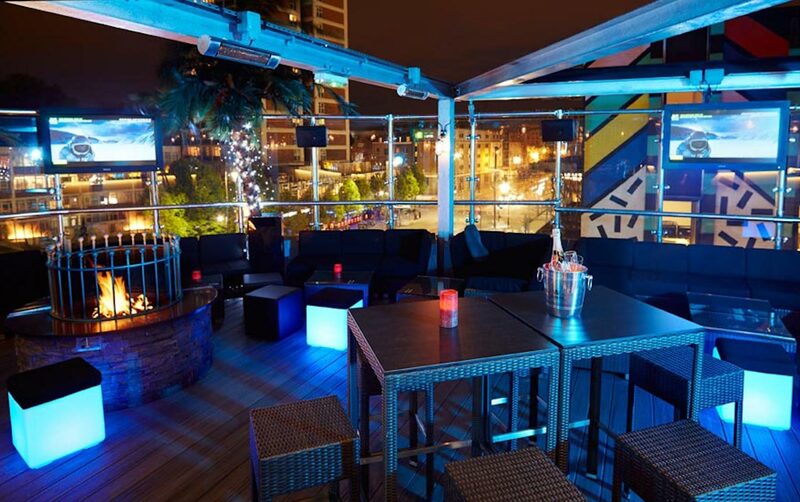 This rooftop bar is in easy reach of a few of the top tourist attractions like Tower of London and Tower Bridge. We recommend you stop by some of the non-touristy places too. Posted on Monday, July 9th, 2018 at 3:15 am in Food & Drink. You can follow any responses to this entry through the RSS 2.0 feed. You can skip to the end and leave a response. Pinging is currently not allowed. This is an awesome rundown. 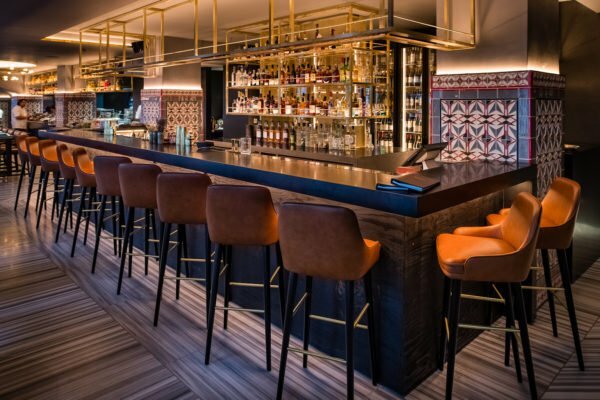 I travel to London, Frankfurt, DC, Chicago and NYC all the time and always keep tabs on these lists because I like to take clients to these kinds of bars. I recently found another list that was really good (just Google ‘rooftop bars midtown east’ and click on the Westgate blog search result) – it’s a great rundown for anyone needing to know the rooftop bar scene in midtown Manhattan. 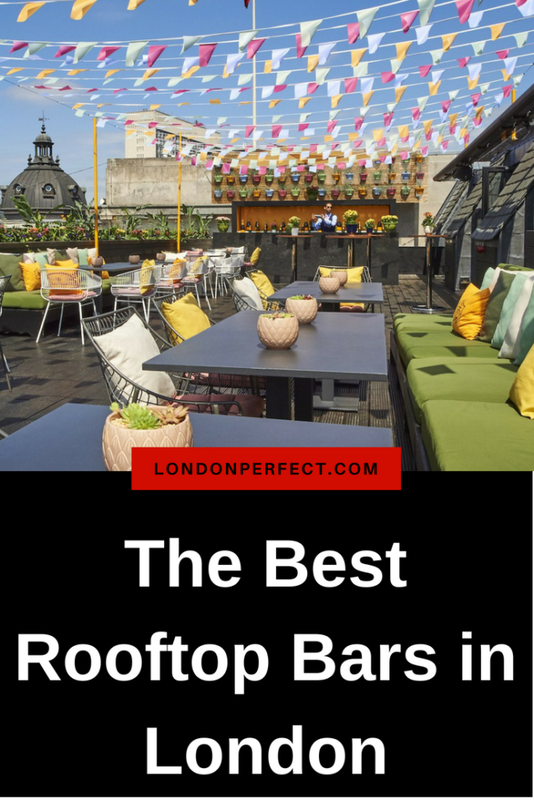 Great post on London rooftop bars! Cheers!